The BMP280 Barometric pressure sensor module is a highly accurate sensor ideal for measuring various weather conditions. 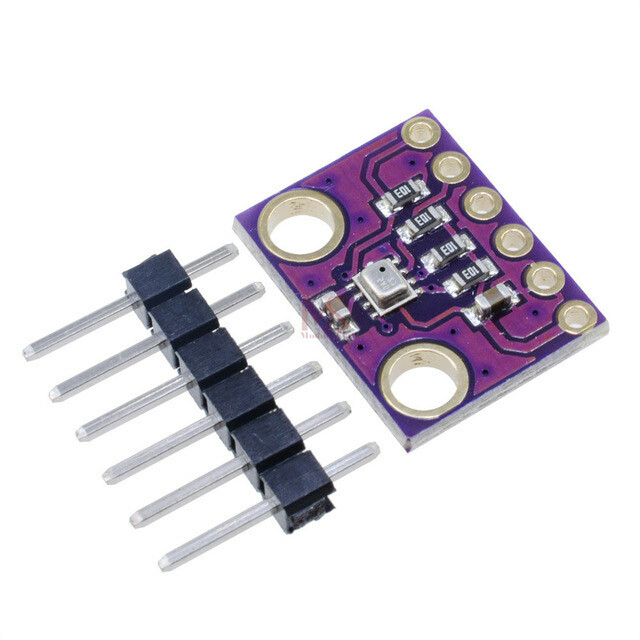 The BMP280 Barometric pressure sensor module is ideal for measuring various weather conditions. Vin– supply pin. Since the image using 3V DC, the board has a built-in voltage regulator that receives 3-5V DC and converts them to 3V. To use the module to be powered from the same voltage as the Arduino board. All pins have level shift circuit to bring to a logical level 3 V to 5 V. Use any logical level is Vin pin. To connect more BME280 the same microprocessor must use the same pin SDI, SDO and SCK. SCK – is also the I2C clock pin, pin connects to the microprocessor clock.